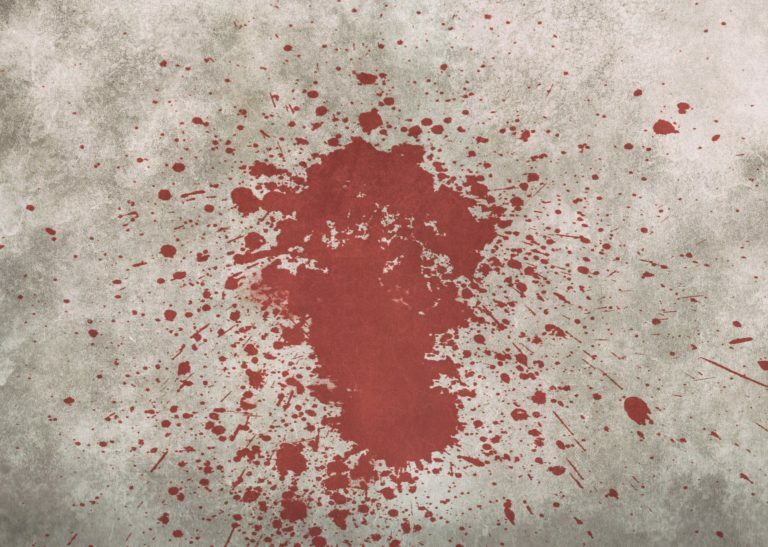 In the previous article, we explained how to survey a crime scene, how it is secured, main rules, which golden questions are vital and what the main methods of collecting evidence. Today, we would like to move on to the second part, where we explain what is done with found traces, how to secure them and where to search for traces that don’t want to be found. When setting about to collecting evidence, it’s worth knowing how they’re categorised. It’s important not only from the theoretical point of view, as properly categorised traces play a crucial role in further actions. For example, a forensic specialist who qualifies a bullet shell as a general trace valid only for group identification (read on to learn what’s that) makes a huge mistake resulting even in the inability to identify the perpetrator. Of course, in real life investigators follow strict procedures concerning handling different types of evidence, so this kind of mistake is rather unlikely. Sometimes they do come across, however, clues that need to be qualified on-the-go and are forced to decide on how to proceed ad hoc. suitable for individual identification – matching only one person or tool. These are fingerprints or a bullet shell with unique marks on its surface which are produced at the moment of shooting. 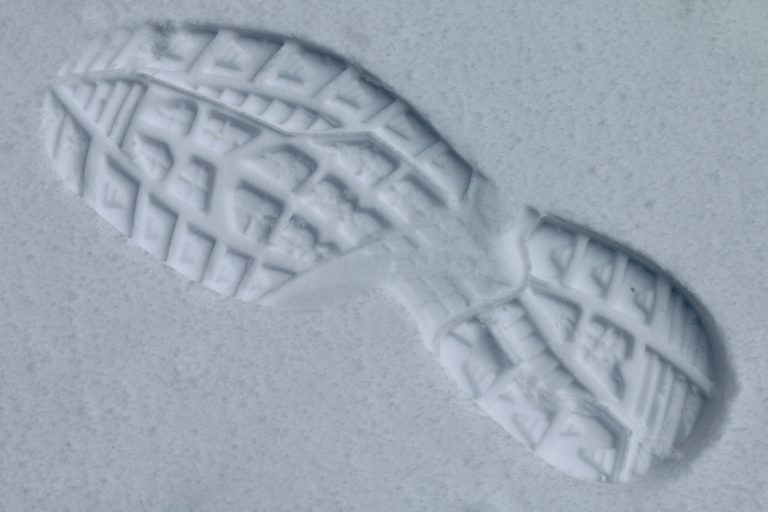 Traces can also be divided into direct (allowing direct identification like footprints and sperm) or indirect (a shoe imprint that may belong to the perpetrator – it needs to be taken into account and examined). The latter are not of the highest priority while surveying a crime scene. Yes – only some of them. There are so many types of traces that it would be impossible to even cursorily describe them here, so we decided to focus on the most interesting ones, taking into account their popularity (fingerprints), a way of securing (olfactory traces) or specific difficulties. But jokes aside, what are fingerprints? Every human (and even every primate) has a unique set of tiny friction ridges on each finger. They develop in a mother’s womb and they help to grab objects by limiting their slipping. These ridges are continuously moistened with a mixture of sweat and sebum, so if someone touches something, a thin layer is left on its surface – an imprint of a fingerprint. Fingerprints cannot change or be removed (except for a highly invasive medical operation) and are unique, that is why they’re considered to be a highly useful individual trace. Revealing dactyloscopic traces can be done visually, if these are noticeable with the unaided eye, for example, a blood imprint of a finger on a wall. 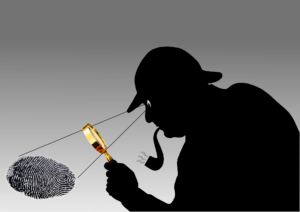 Methods of revealing invisible fingerprints are quite specialised and we don’t want to bore you with them, let us just mention that these, among other things, use ion association or ultraviolet. When a fingerprint is revealed, it needs to be secured. Depending on the surface, on which it’s located, this can be done using various methods. The most common one is using special dactyloscopic powder, but it’s not as easy as it may seem, as the type of the powder plays an important role here. A different substance is used for light surfaces, another for dark ones (it’s about the contrast). Another one for rough surfaces (English soot) and for colourful, patterned and smooth ones (fluorescent powder). Find out more about the UV powders from an article on our blog. In most cases this is done as showed in films: a forensic technician carefully applies a layer of the powder on the revealed fingerprint, then uses a brush to remove its excess, photographs the revealed pattern and transfers it to (actually sticks it on) a special foil. When it comes to visible fingerprints the procedure is different – they’re secured together with their base. These are imprints – of feet, shoes, tyres etc. If something left an imprint on the ground, it constitutes a trace worth securing. There are a few methods of how to do it, the following three are the most popular. Making a cast – used mainly when dealing with smaller traces like shoe imprints. When making a cast one has to remember that it has to be complete, i.e. when making a cast of a car tyre, it has to show the tyre’s full tread. Photographic documentation – it is generally done every time, but sometimes it’s the only method that can be employed. This is true for traces of tyres on concrete that cannot be secured in any other way or in case of very big imprints like a rear tyre of a tractor that can have a tread of up to five metres. Securing an imprint with its base. There are also other methods like using a special gelatine foil or devices emitting electrostatic field but they are used less often. This is a very broad category without a strict definition. The general rule is that if something is a tissue, secretion or excretion, it’s treated as a biological trace. Revealing biological traces is usually quite easy as they’re visible to the unaided eye. There are also substances for detecting blood like luminol – it reacts with the iron in haemoglobin and glows in ultraviolet light. It may seem unintuitive, but when dealing with biological traces first thing is to dry them. It doesn’t hinder further examinations and prevents them from getting mouldy. Smaller objects with biological traces should be secured as a whole and stored in a non-hermetic container (so they do not get mouldy). Biological traces located on surfaces that cannot be packed (like walls, floors or bodies) are collected using a special swab or are scraped off into paper packages, hair and nails are also stored in them. Yes, olfactory traces also can be secured. As they are less durable and more prone to contamination, they should be preserved first. This is done using special scent absorbers. A new absorber is placed in a given spot (e.g. on a chair we know that the suspect has sat on), covered with tin foil and left for at least 30 minutes. Then the scent is collected and stored in an airtight jar. It may seem super easy to secure a computer: turn it off, pack the central unit to a car boot and… Stop! This is actually wrong due to many reasons. First of all, a turned-on computer may store in its cache or random-access memory important information. When it’s turned off, it loses it permanently. What’s more, there are no technical obstacles for anyone to set automatic drive encryption or even erase the hard drive (for paranoids). Even if these measures haven’t been undertaken, a turned-on computer shouldn’t be used as, according to the basic rule of working with computer equipment, any tests should be done on its exact copy and never on the original device. And this is what a forensic technician does first – copies its hard drive, file after file. All other activities, even turning it on and off, alter its original state and may constitute a basis for challenging the test results. Forensic methods of checking a computer is a separate subject, perfect for another article. The same safety rules concern smartphones and all other electronic devices. Many types of cillecting evidence haven’t been listed here. We haven’t mentioned securing bullet shells, documents, bullets, mechanical tools, chemicals or fluids. We hope, however, that the first two articles in the series let you put yourself in the shoes of a forensic technician. In the next article, we are going to focus on a human factor, that is methods of investigating witnesses and suspects.